Liverpool's Champions League last-16 tie with Bayern Munich is locked in stalemate after a goalless first leg at Anfield. An absorbing clash between the teams currently ranked second in the Premier League and Bundesliga respectively did not produce a mark on the scoresheet. And so the battle for a place in the quarter-finals of the competition remains firmly balanced before the reverse meeting in Germany on March 13. Liverpool made two changes, with Trent Alexander-Arnold and Jordan Henderson brought into the XI and Fabinho deployed at centre-back with Virgil van Dijk suspended and Dejan Lovren still injured. Roberto Firmino recovered from illness to retain his place in the middle of the Reds attack. 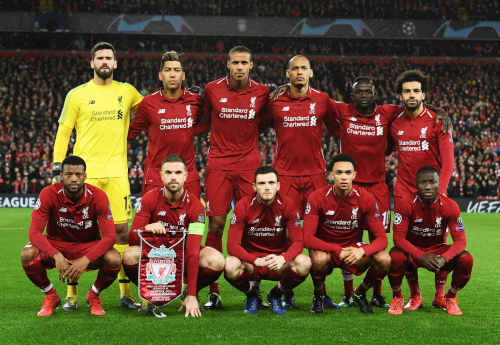 Anfield was a picture of hope as the players emerged to a flag-filled Kop, the pre-match rendition of You’ll Never Walk Alone drowning out the Champions League anthem that concludes the talk and begins the biggest of nights. 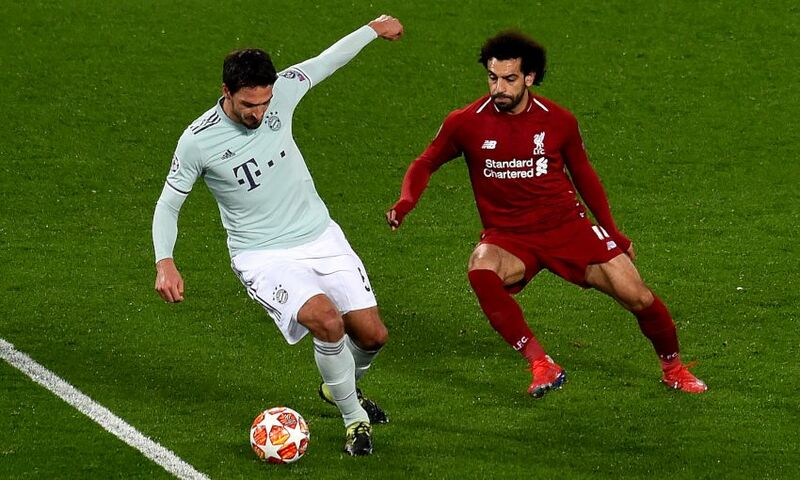 Bayern appeared undaunted from the off, though, their commitment to playing out from the back passing the early examinations from Liverpool’s high press. The Reds fashioned the tie’s first sniff of a chance, Henderson’s angled clip over the opposition defence inviting Mohamed Salah to dart in between the backline – but his prod on the stretch was a simple take for Manuel Neuer. Fortune favoured Klopp’s men moments later. Serge Gnabry got free on the right flank and drove in a flat cross that Joel Matip kicked straight at Alisson Becker and, somehow, away from goal. The same Liverpool duo gifted the Bundesliga champions their next opportunity, squandering possession in their own area, but Kingsley Coman skewed his effort wide of the left post. Half-chances and shots were coming in almost every attack at either end and Salah would have broken the deadlock with a more accurate header when Alexander-Arnold’s back-post cross drifted over David Alaba. Sadio Mane frustratingly scuffed wide on the turn when Naby Keita’s hit was deflected into his path by Niklas Sule and Mats Hummels prevented Matip from converting Firmino’s pull-back as the Reds steadily surged at Bayern. And Firmino himself could only nudge Alexander-Arnold’s low cross into the grasp of Neuer in the final action of a half that should really not have ended goalless. The interval had zero influence on the nature of the game, the two sides simply picking up the back-and-forth flow they had left. Fabinho timed a tackle perfectly to thwart Robert Lewandowski on 52 minutes, planting in his right foot as the Bayern No.9 sought to turn and tuck in Coman’s cross from the left. The Reds soon countered and Keita worked a pass towards Andy Robertson’s sprint forward at the second attempt but after Sule’s challenge sent the ball off the Scot and looping at goal, Salah could not get it under control. If Liverpool edged the first half, the visitors took greater control from the outset of the second, their use of the ball both more assured and consistently forward-thinking. But, slowly, the home side exerted themselves again and Klopp opted for a reshuffle when James Milner and Divock Origi replaced Keita and Firmino respectively. Bayern dropped deeper as the minutes ticked away, putting the onus on the Reds to plot a way through their organised structure – and they nearly did with five left on the clock. Robertson’s tricky delivery to the near post was met by a Mane diving header that Neuer reacted quickly to tip around the woodwork and ensure the tie is goalless at its halfway point.